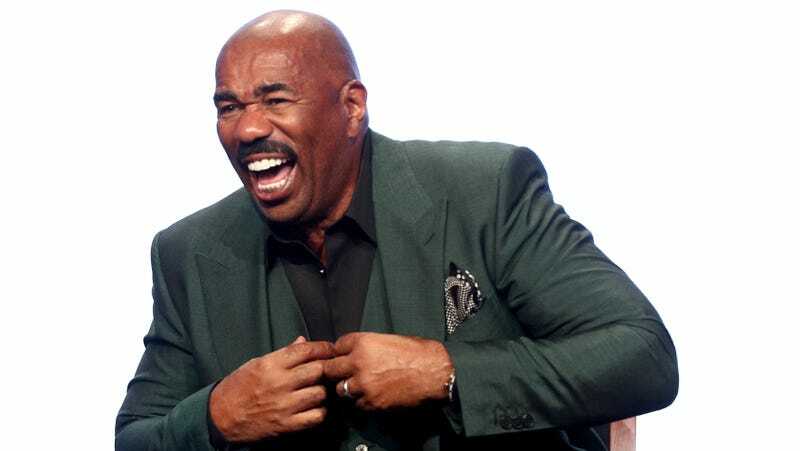 While promoting his new talk show Steve at TCA this week, Family Feud host, homophobe, and overall jackass Steve Harvey addressed the leaked memo that made headlines earlier this year. You remember, right? The one that instructed his staff not to “approach” or “speak” to him? Harvey also claims the memo was leaked by a person who was “pissed” about not getting a job on his show. But he still doesn’t get why it caused such an uproar. Late Thursday night, Page Six published a story called “How Joe Scarborough fell in love with Mika Brzezinski” because there’s something about this romance we New Yorkers just can’t get enough of. Morning Joe is terrible, but it’s always at its most tolerable when Joe and Mika are clearly mad at each other. I’m not sure what that says about their love, I’m just saying it’s the truth. Yesterday E! News published a story with a headline that suggested they had spoken to Meghan Markle about fashion (they hadn’t), and today they did another one! Why do they keep doing this?! Meghan had zero involvement with either story!! Am I the only one incensed by this?!?! ?